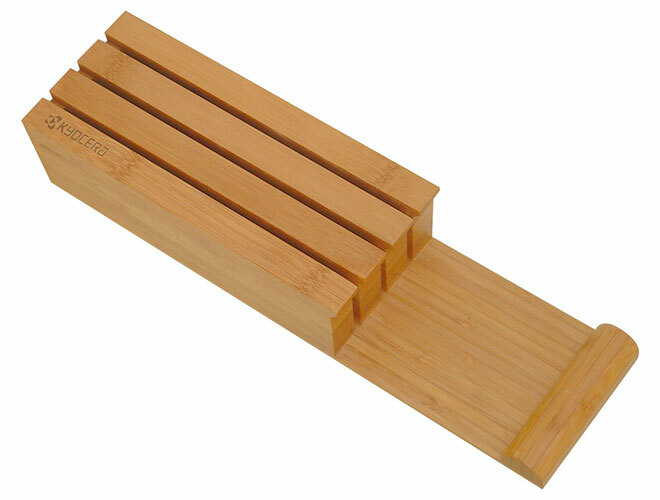 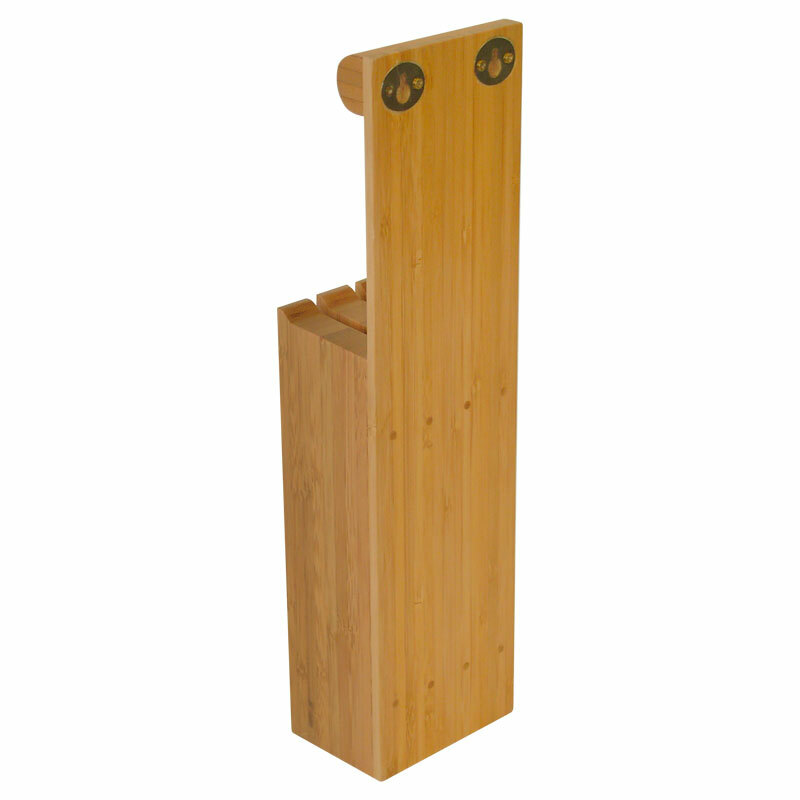 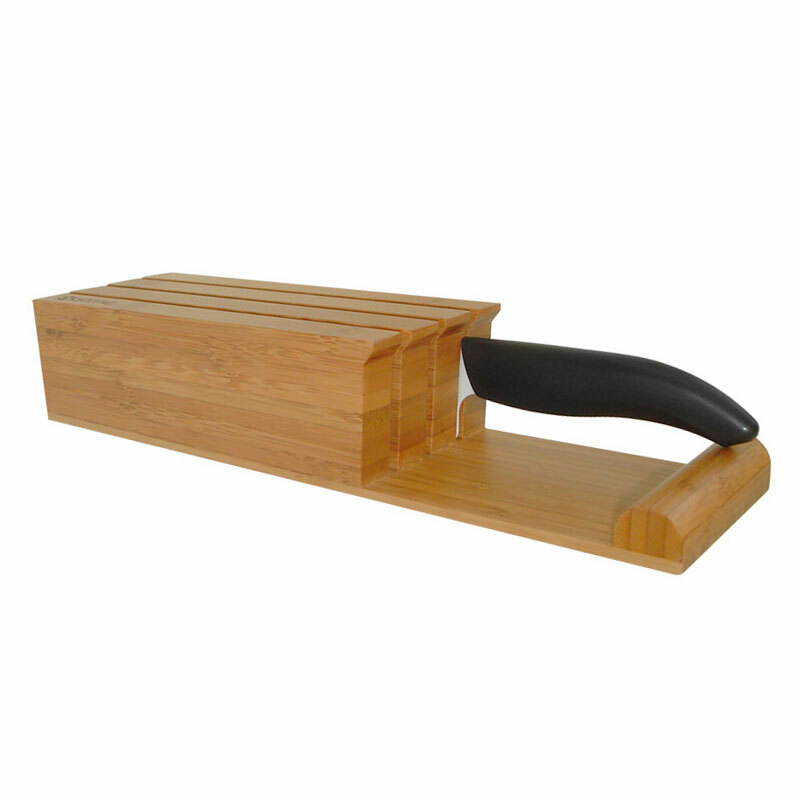 The Kyocera Bamboo 3-slot Bamboo Knife Holder features a sleek and clever design which prevents knives from falling out. 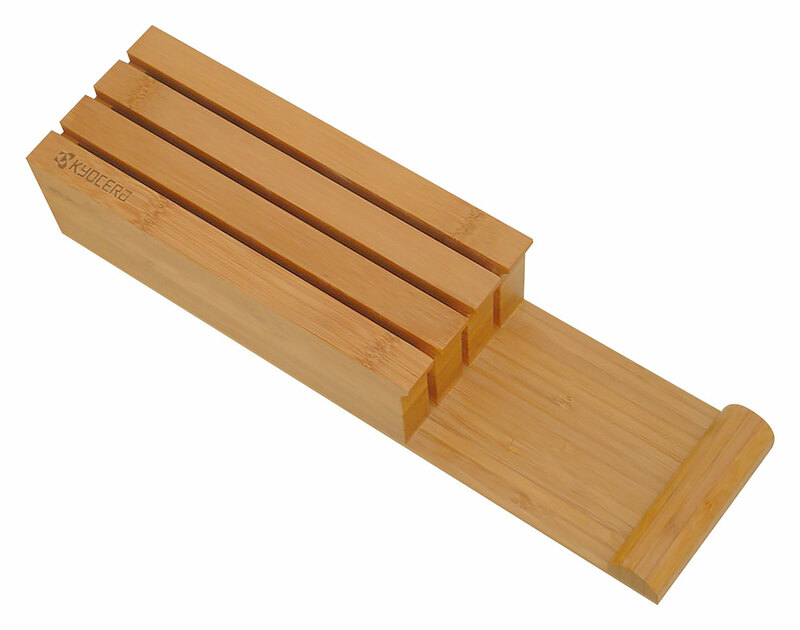 The compact footprint is ideal for kitchens with limited space. 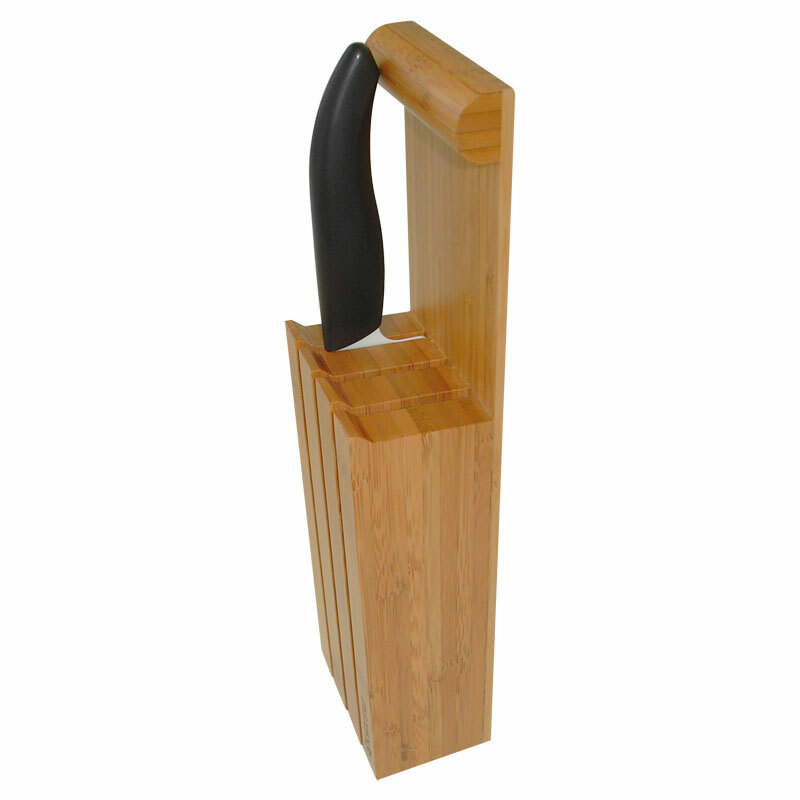 Solves a common storage problem and keeps those frequently used Kyocera advanced ceramic knives close at hand.